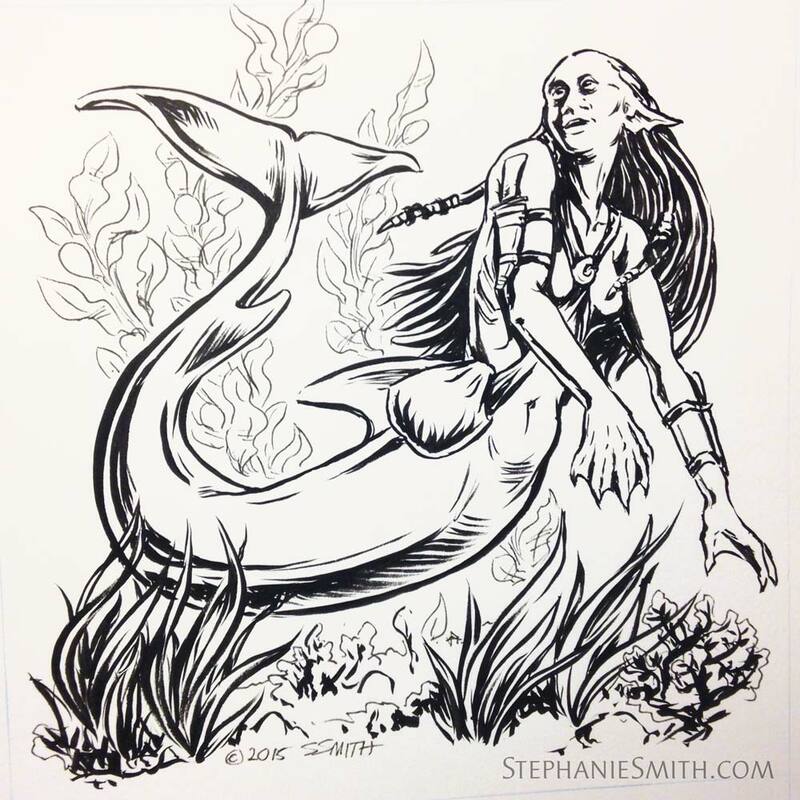 Copyright 2015 Stephanie Smith Drawn with Black and Grey Pentel Color Brushes on marker paper over a pencil sketch. 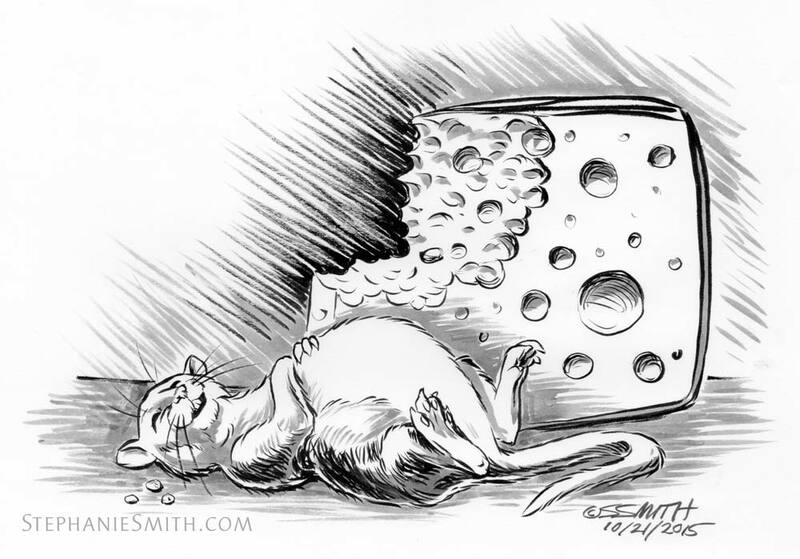 This week’s Illustration Friday word is “stuffed” and out of all my fat animal doodles this little mouse won out. Remember, #Inktober is still going strong over on my social media feeds, so head on over for the doodles and other drawings that are showing up there! 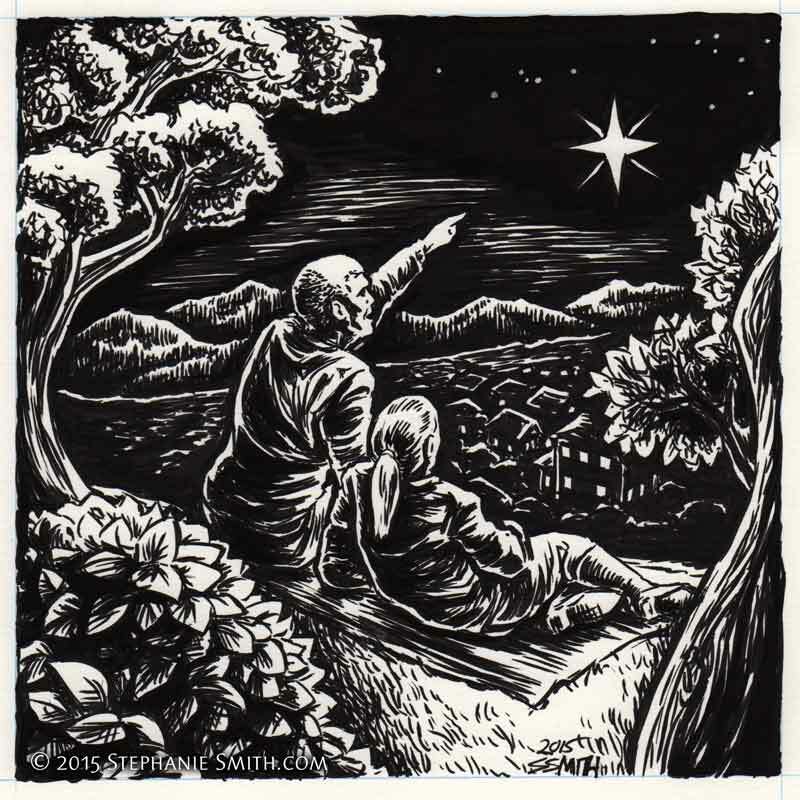 Today’s post does double-duty for #Inktober and for #IllustrationFriday, which had the prompt “Star” this week. I’m still keeping up with the Inktober challenge, posting a drawing or sketch every day for the month of October on my social media feeds. Follow along with @Critterwings on Facebook, Twitter, or Instagram! This drawing was made with a LePen Technical Drawing Brush pen on Stratmore smooth bristol paper. I had no idea LePen made a brush pen! Not bad responsiveness, the felt nib was a lot softer than some of the similar models from Pitt or Sakura. I also used a white gel ballpoint for some of the smaller stars in the sky. 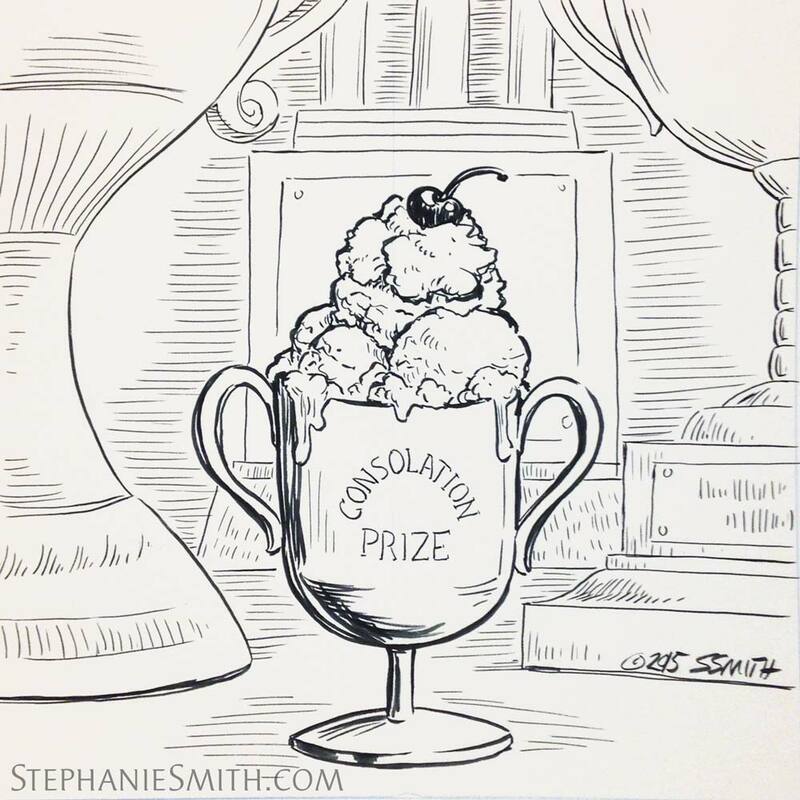 The concept sketches for this drawing were made for last week’s Illustration Friday prompt: “prize” Alas, I didn’t have time to finish before the end of the week, but it still makes a nice entry for Inktober today! Drawn with the Pentel Sign Pen on Strathmore vellum surface bristol.